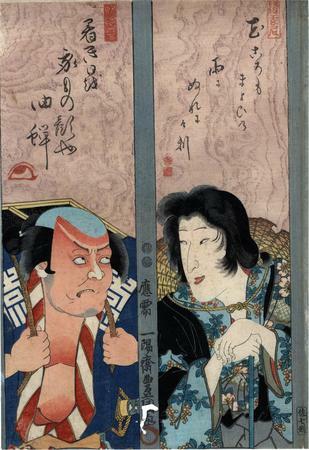 The background of this print uses the itame mokuhan or imitation woodgrain technique (板目木版). "The printing of a wood grain within a print. A wood plank is soaked in water to open up the grain and is then inked and printed to intentionally reproduce the nature of the wood itself." Illustrated in Catalogue of Japanese Art in the Náprstek Museum published by The International Research Center for Japanese Studies: Nichibunken Japanese Studies Series 4, 1994, p. 47. The text on the left reads: 厚き日を家もの顔や油蝉. The text on the right reads: 花ころもまよひの雨にぬれにけり. 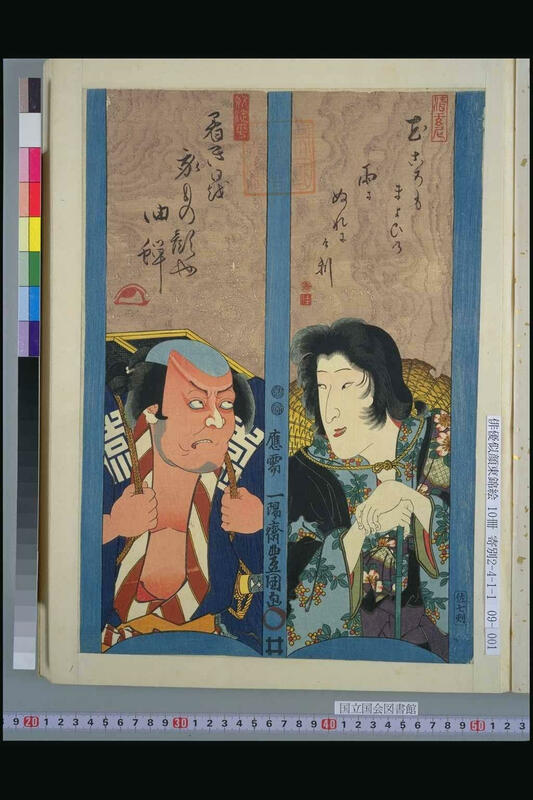 There are approximately 16 prints from this series in the collection of Ritsumeikan University.